Personal fitness trainers and people interested in improving health and fitness will learn how to design safe and effective exercise programs by learning more about challenges associated with chronic health issues. While it is beyond the scope of practice to diagnose disease, it is important for personal trainers to be familiar with the major health challenges. There are many clients at our fitness facilities who got clearance by their physicians to exercise, but may be taking prescription drugs for various medical conditions. If you limit yourself to only the young and healthy population, you will be limiting yourself from many great opportunities to help people and also make higher income. Often the more ‘mature’ clients who are 40-65 years old have much higher discretionary income than the younger clients. Explain the benefits of exercise and design safe and effective exercise for persons with hypertension. Explain the benefits of exercise and design safe and effective exercise for persons with CAD. Explain the benefits of exercise and design safe and effective exercise for persons with asthma. Explain the benefits of exercise and design safe and effective exercise for obese clients. 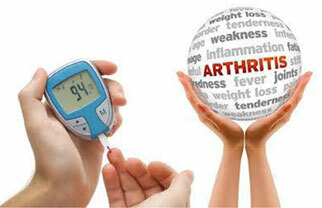 Explain the benefits of exercise and design safe and effective exercise for diabetics. Explain the benefits of exercise and design safe and effective exercise for persons with osteoporosis. Explain the benefits of exercise and design safe and effective exercise for persons with arthritis. Explain the benefits of exercise and design safe and effective exercise for persons with common musculoskeletal challenges. Kazuko “Kaz” Aoyagi, Ph, D., is certified by ACSM, ACE and the University of California, Berkeley. She is also recognized as an Elite Personal Trainer by IDEA Health and Fitness Association and is an expert in lifestyle and weight management. Her area of expertise includes clinical exercise specialist, older adults, pre and post natal women, and running.